Fascinating aromas of plums and blackberries with dried flowers. Full body, tight and integrated tannins and a long and focused finish. First year of second wine of Clos du Marquis. Drink in 2021. 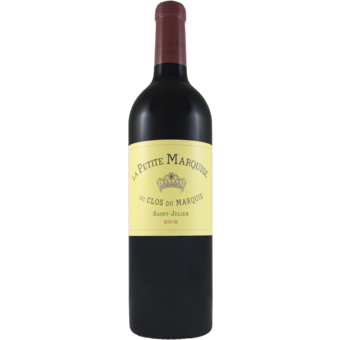 "The Clos du Marquis, formerly the second wine of Léoville las Cases, now has its own second wine that comes from young vines. It is a rich, juicy and succulent wine, bright with acidity and black-currant flavors. The firm tannins are in the background, meaning this wine will age relatively quickly. Drink from 2021." 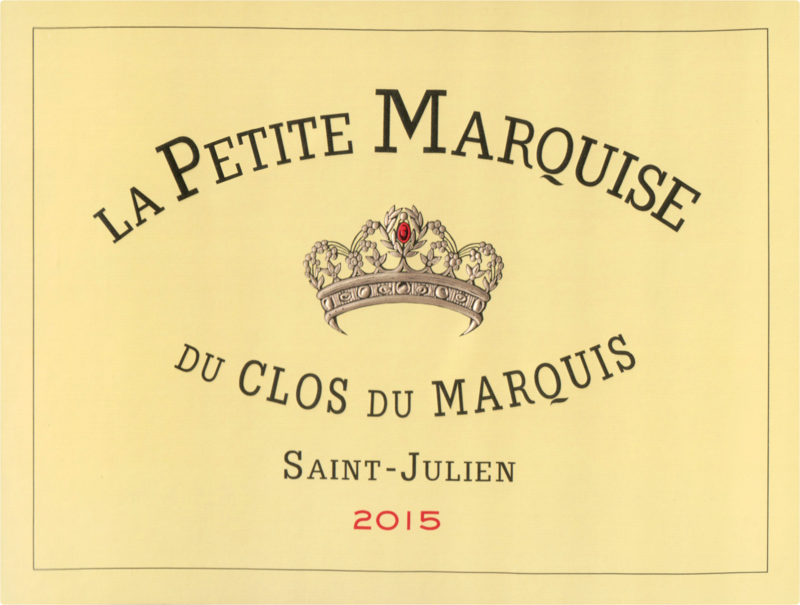 "The 2015 La Petite Marquise needs time in the glass to come together, as the tannins are a bit coarse at the outset. There is good depth and delineation throughout. Some slightly rustic elements remain, but that is what second wines are for. Sweet red cherry and floral notes are nicely pushed forward in this pretty Saint-Julien from young vines in the Delon family's Clos du Marquis. The 2015 saw 15 months in French oak, 25% new." The harvest and vinification is the same as for the grand vin of Chateau Leoville Las Cases, and the wines are all made in the same exact facility. This means the fruit is harvested by hand, fermented in a mix of thermoregulated wooden cuvees, cement vats and stainless steel, as prescribed for Chateau Leoville Las Cases. This is drinking beautifully right now.